Do you already own heat imaging equipment and desire to expand into sublimation? Does your existing sublimation equipment fail to keep up with demand? Do you desire the profits from sublimation products but dread the learning curves of printers and ink? Problem solved! 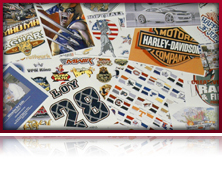 Amerasource Sublimation Services provides sublimation transfer services as well. Why invest in printers, ink and software when you can use ours? Contact us today and put our printers to work for you! 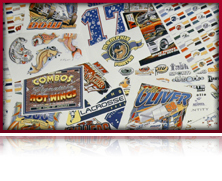 Amerasource Sublimation Services – Expand Your Canvas!!! "At Daddy Dolls, Inc., we make products that bring comfort to family members separated by military deployments, hospital stays, and other emotional events. Because our products have such an important job to do when they reach our customers, we have exacting quality standards. For this reason, we trust Amerasource to supplement our printing needs. 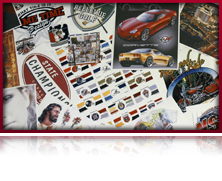 Amerasource's high quality printing can only be matched by their unparalleled customer care. They are more than an invaluable resource for our team, they have become part of it." Nikki Darnell, CEO - Daddy Dolls, Inc.
All content on Amerasource.com © 2006, Veronica James. All rights reserved. All photos the property of the respective artists and companies who courteously supplied them.